Show your Wichita love in this tee. 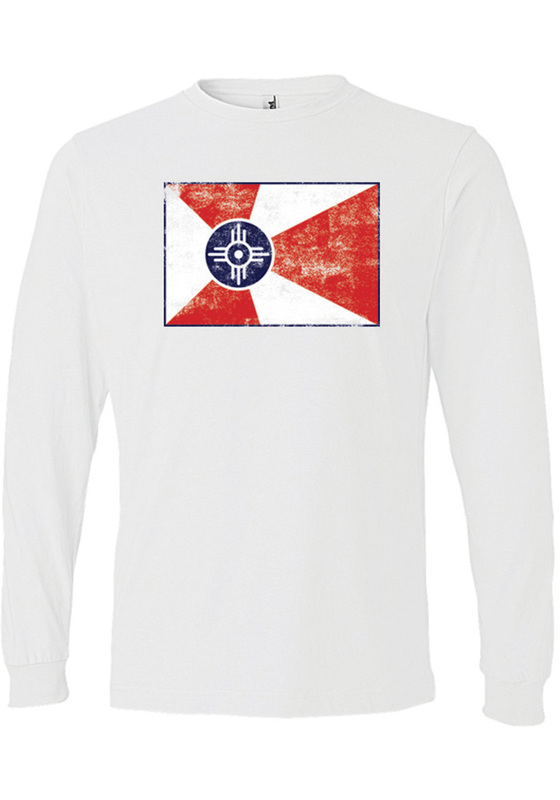 Featuring a distressed screen printed Wichita flag graphic on center chest. The flag features a white circle, representing home, a blue sun for happiness, red stripes signifying honor and white stripes for courage. Let people know how much you love your city.